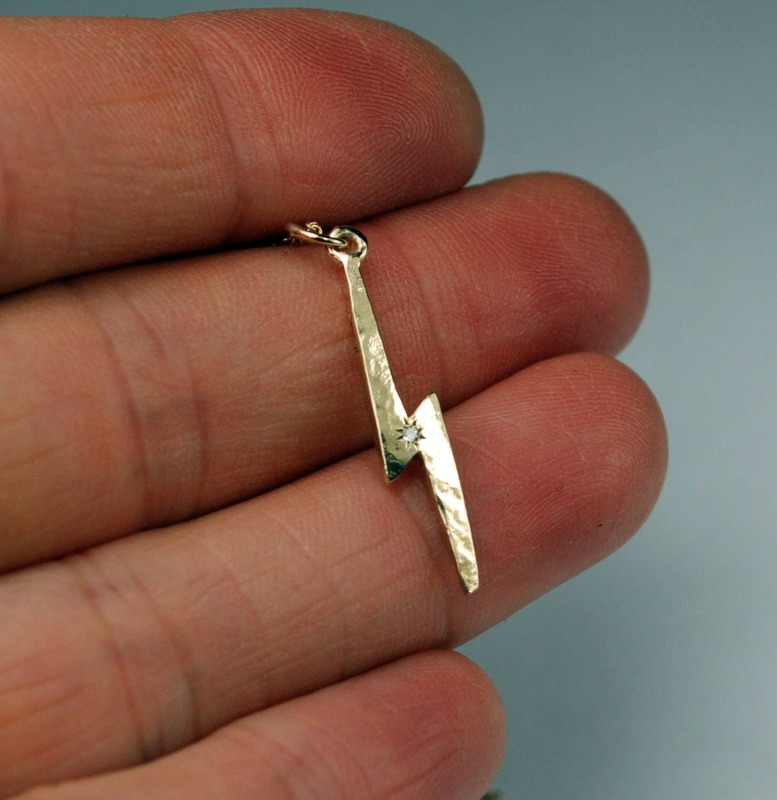 A single 10k yellow gold hammered lightning bolt set with a tiny white diamond. 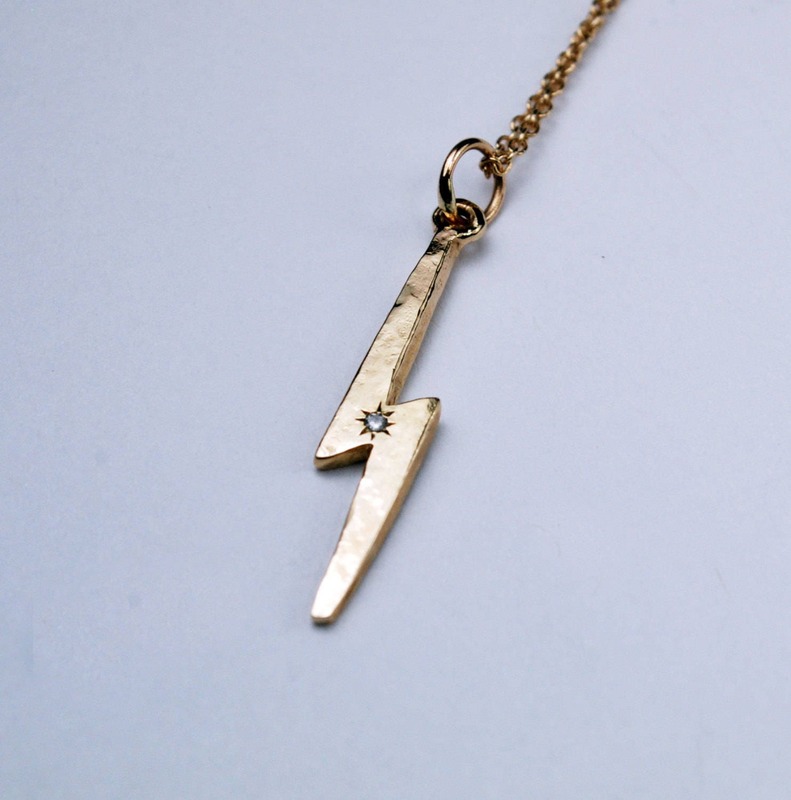 The lightning bolt measures approximately 25mm x5mm and the diamond measures approximately 1.1mm. Available either as a charm only on a 10k gold jump ring or hung on either a 16" (40.64 cm) or 18" (45.72) 10k yellow gold chain. 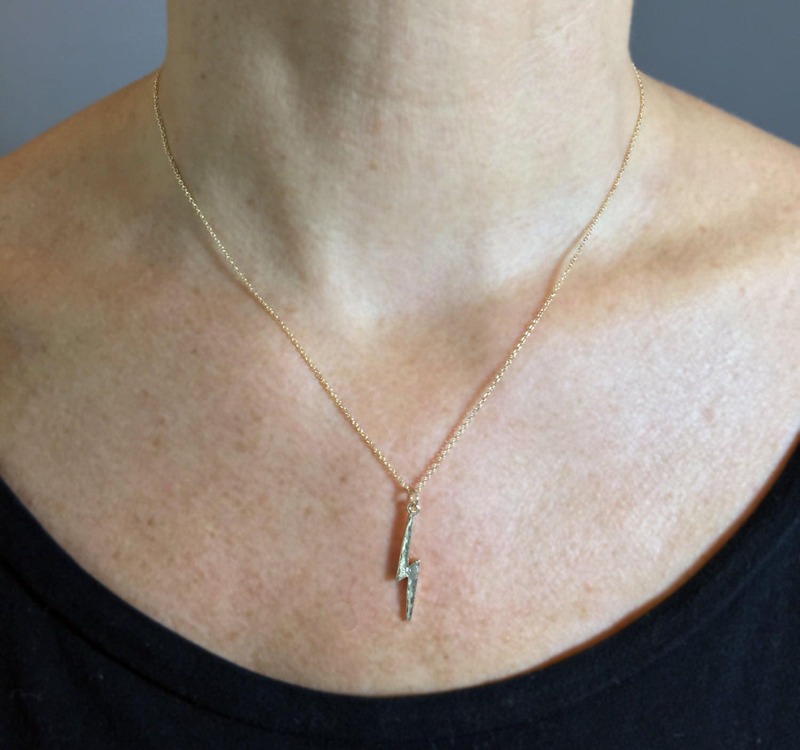 The diamond and pendant looks a lot smaller in person. But it is still very classy, pretty and skillfully made. I think the peices at this shop are original and striking and crafted superbly. I highly recommend it.